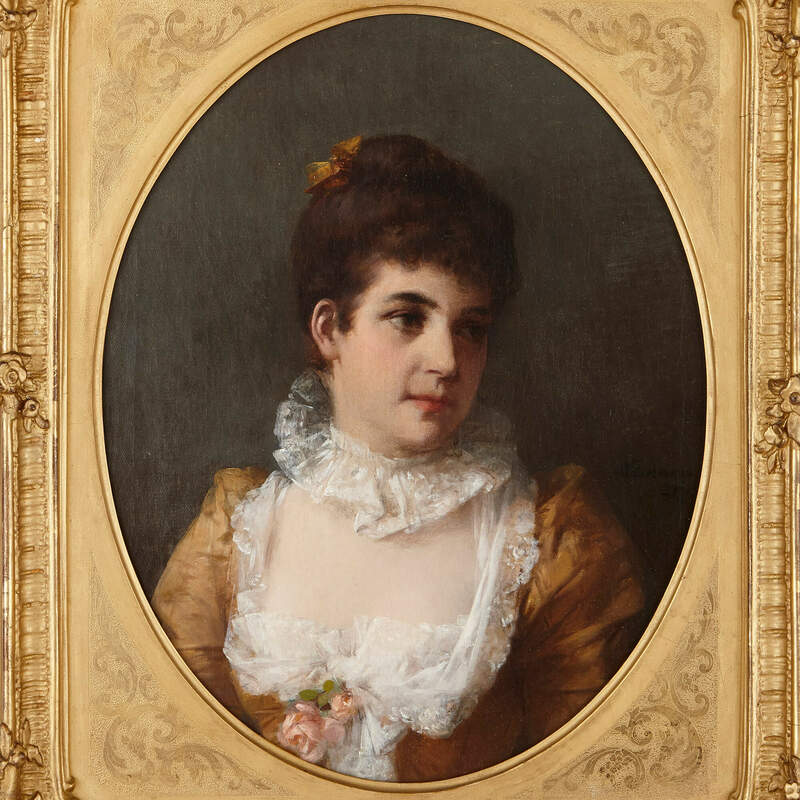 This oil painting is a beautiful and intimate bust portrait of a young woman. 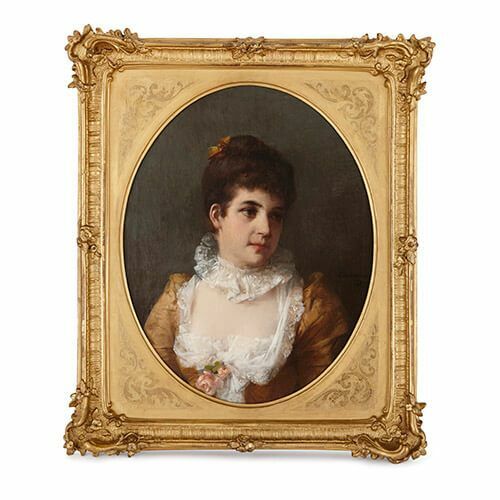 The lady wears an elegant low-cut, rust-coloured silk dress with sheer lace detailing on the bodice and a simple lace neck ruff. 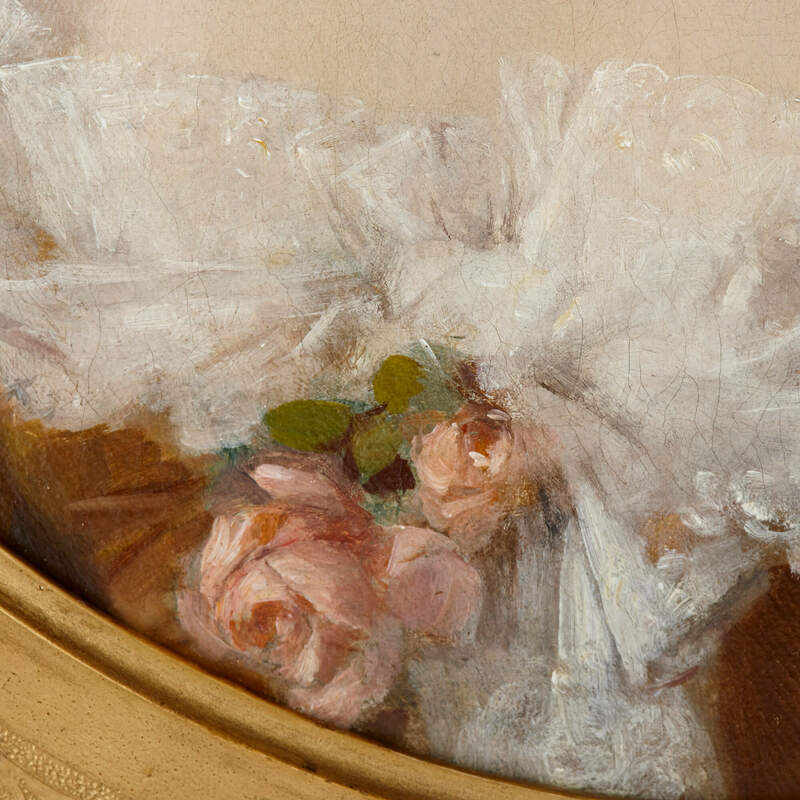 The sitter wears her hair up in a bun, tied with a piece of ribbon that matches the colour of her dress, and there is a light pink rose pinned to her bodice. 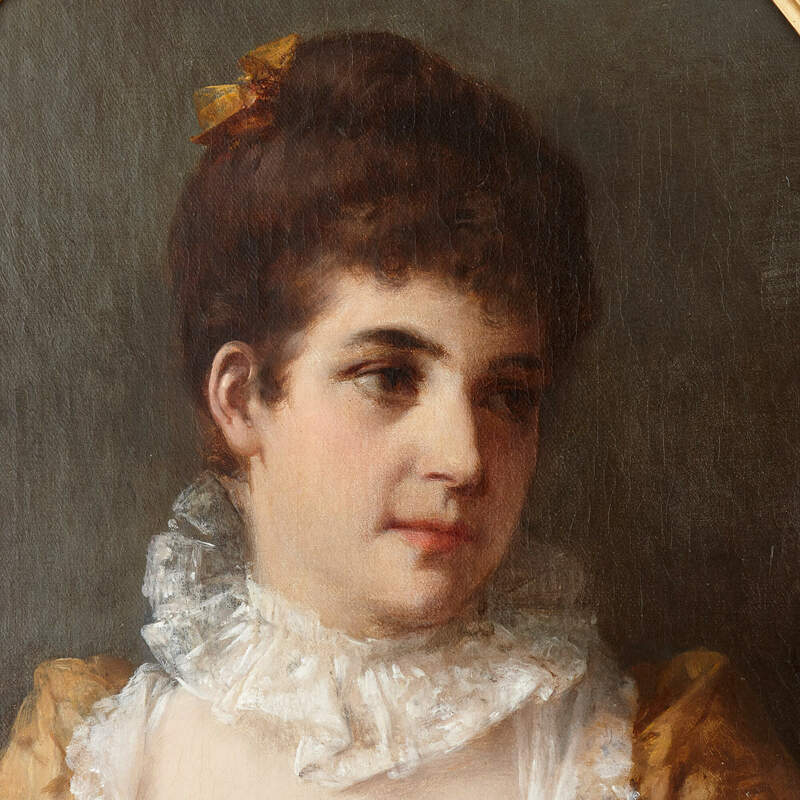 The lady gazes off to the right of the composition to something or someone unknown to the viewer. The style of the portrait is naturalistic, great use being made of natural lighting and of short, well-blended brushstrokes. Otto Erdmann was a well-respected German genre painter, best-known for his Rococo Revival style paintings. Erdmann trained at the Leipziger Akademie, before attending the Academy of Fine Arts in Munich, where he studied under the genre painter, Ludwig von Hagn. 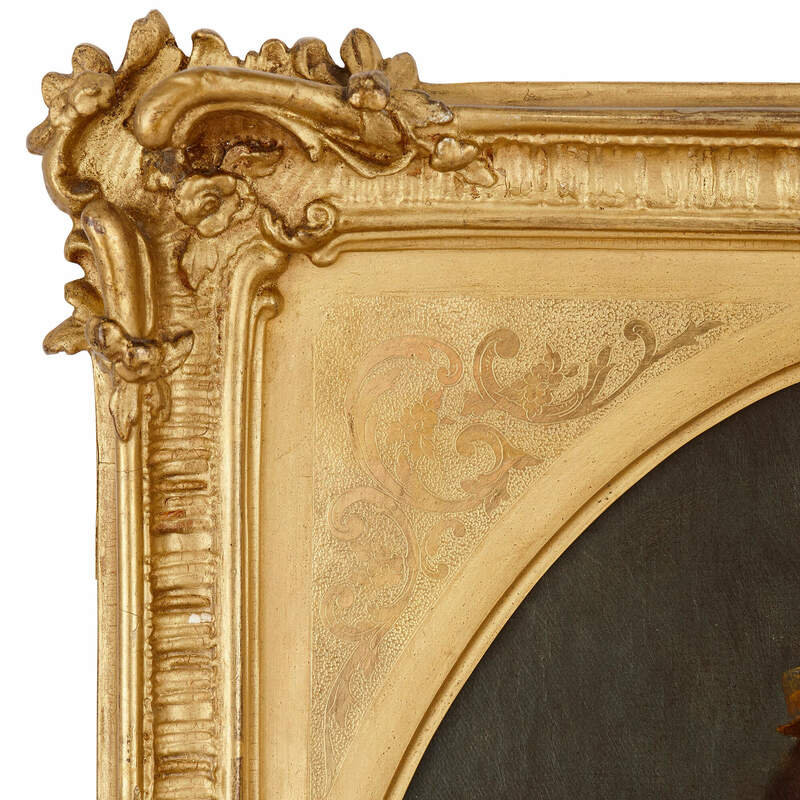 In 1858, he moved to Düsseldorf and began to paint in the Rococo Revival style, for which he later became well known. Erdmann was a key member of the artists' association, 'Malkasten', and he sat on its Board of Directors for many years. 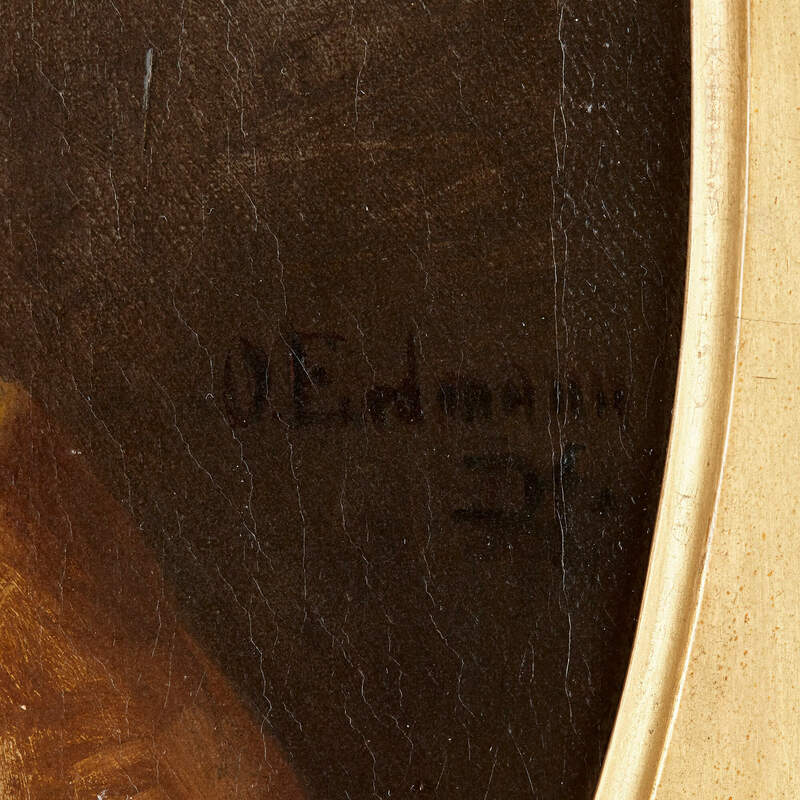 The artist has signed this portrait of a lady in the lower right-hand side of the composition. This portrait is painted in an elegant oval format and set within a giltwood frame, which is ornamented with scrollwork and floral motifs.